I have always (relative to my brewing history) had an interest in using wild yeast in my brewing. For a very long time, wild yeast was the only option available to many brewers of beer. Even the many strains of cultured brewers yeast we know and love today, were at one time “wild” in nature. There are a few strains considered to be wild yeast that are commercially available to brewers, but this is really only a very small piece of the 3000 piece jigsaw puzzle of London Bridge, that is yeast. 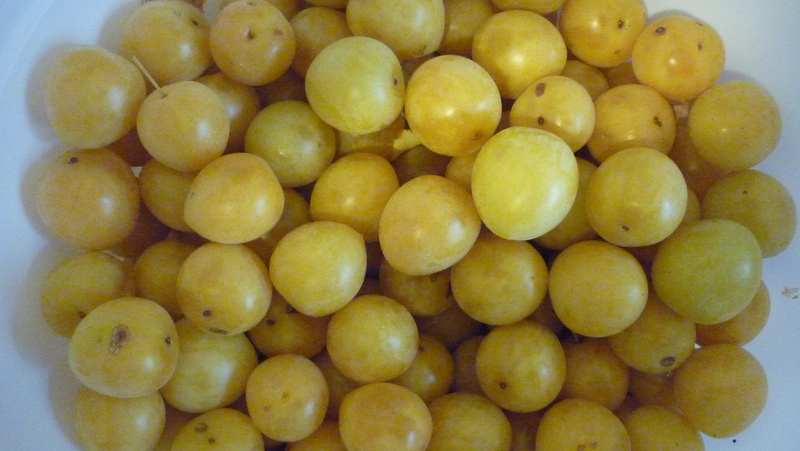 There is such a wide variety of wild yeast in …. the wild! Innumerable strains that can differ from one room to another in your very own house are everywhere, and always there. I have had a few experiments that used yeast I have captured and cultured from my own back yard, but recently I have put some serious thought to putting local wild yeast to a wider range of uses. I was very inspired by a smaller craft brewery out of Texas, Jester King, who recently posted on culturing up native yeast and blending to create interesting flavor profiles. While on my most recent trip to New Mexico, to visit family, I visited an old church in the Old Town section of ABQ. San Felipe de Neri, was originally completed in 1719, collapsed in 1792, and was rebuilt that same year. This is the same structure standing today. While I was walking around, checking things out as I do, I found some grape vines in a small courtyard on the grounds. As grapevine bark had been the original source of captured wild yeast in my backyard, I quickly jumped on the opportunity, and took a few chunks of bark off the plant. 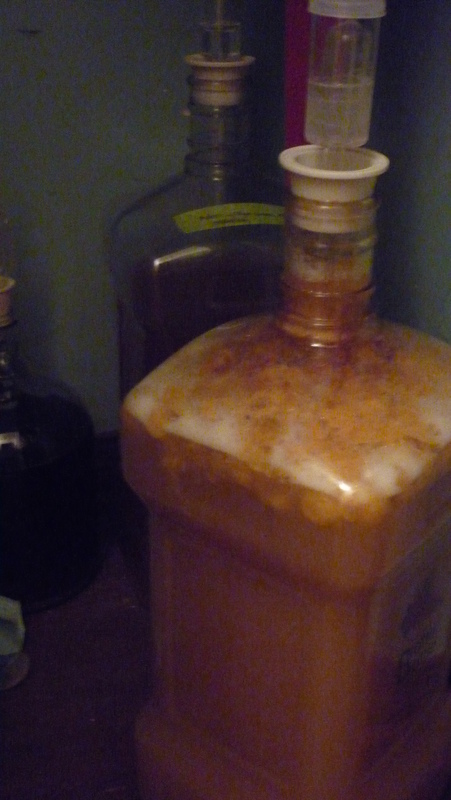 It sat in a water bottle for months, until I finally decided to make some starter wort, and add the bark to it. 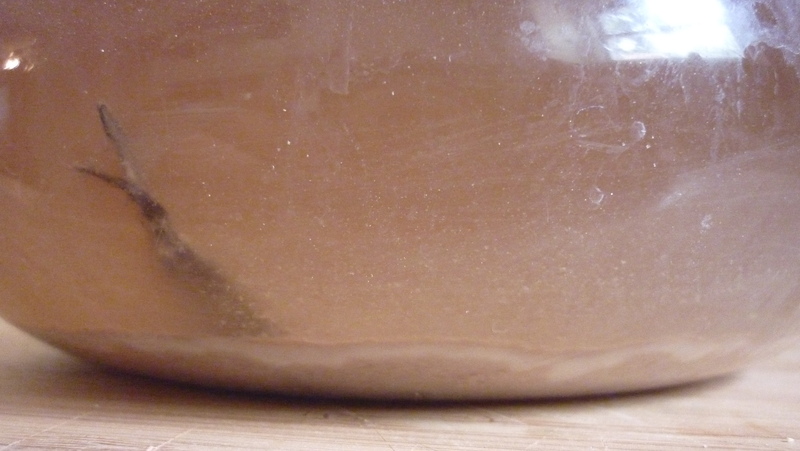 After a few days I started to see some action, and about week later, there was a fairly thick layer of what appears to be yeast on the bottom of my flask. Of course there is going to be other microbes in the mix, but that is half the fun. 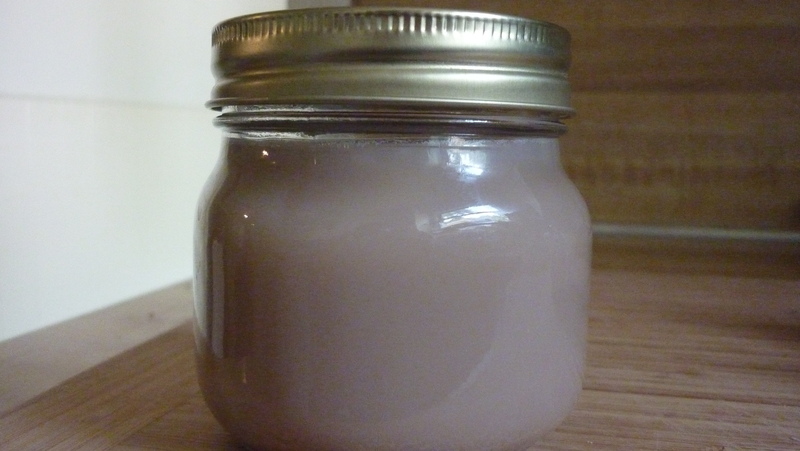 I was able to separate the liquid from the back, and then poured the whole solution into a sterilized (pressure cooker) jar for holding. This wild culture will be henceforth known as Neri (for obvious reasons). 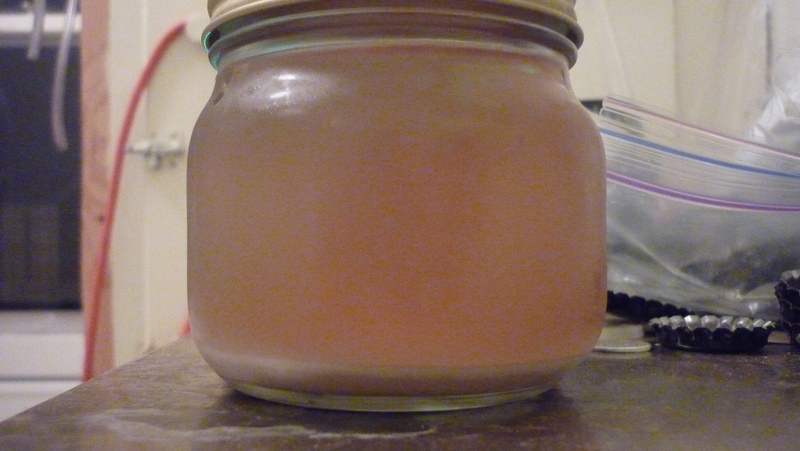 The following pictures document right after I added the mixture to the jar, and again a few weeks later (cold-stored in the fridge). As always, I have a plan. My first go with this Neri yeast will be pitched in my Mk. II Rye Saison. A six gallon batch total will be split into two separate fermenters, one will get just straight Farmhouse yeast (which specific strain is a whole story that I won’t get into here, but honestly… I don’t know), fermented at 75F for the first 24 hours, and then allowed to free rise in temperature throughout the rest of Primary fermentation. I have liked the results from lagering my Belgian inspired beers after primary is over and the beer has sat in the fermenter at least three weeks. So… I’m just gonna do that. 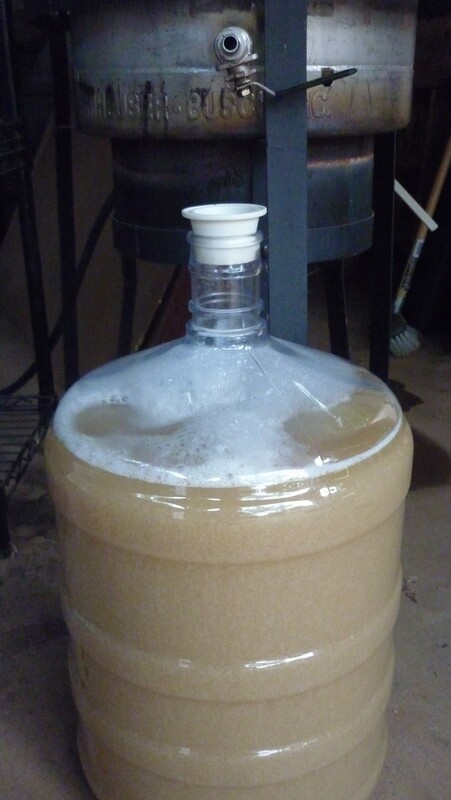 Now, in the second fermenter, I will again pitch some of my battle-hardened Farmhouse soldiers, but I will also be pitching a volume of the Neri slurry I propped up. The idea here, is the Farmhouse yeast will take off first, fermenting most of the monosaccharides. At this time, Neri will have a chance to wake up, build up its population through a little bump and grind (the scientific term for budding), and will start shredding up those polysaccharides. Pending the results from a little age, this may become a permanent fixture for my saisons/ farmhouse inspired brews. This takes inspiration from the farmhouse brewers of old, whose primary (house) yeast was usually taken from whatever they had in the barn. I think it is important to incorporate our local environment into our brewing. Looking at any number of styles of beer we read about casually in the BJCP or recipe books, they all were created in specific areas of the world, and their character from that local environment. Now, there is nothing wrong with brewers recreating beers made famous thousands of miles away, adjusting water chemistry, buying only the most authentic hops and barley. It is fun, education, and an overall great way to appreciate beers of history. However, I would like to see more brewers trying their hand at new things, utilizing their surroundings to create beers that are not only unique, but have a sense of where they were brewed. I will continue to update any progress on here, and leave notes of interest. The starter wort that I used to propagate Neri, and what I am currently using to propagate a culture from my yard is pretty simple. It is important not to make your starter wort with a gravity above 1.035-1.040, so as not to stress out your little minions. 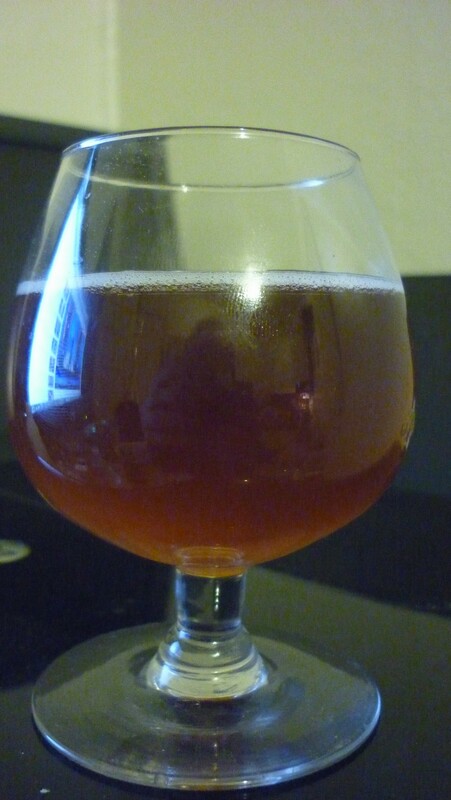 Rye Saison Mk. II brewed today. In addition, limited mash tun space really forces one to be creative. Rather than adding just boiling water for my mash out, I took a page out of decoction brewing process and ran off the necessary volume of wort after my dextrine rest, brought it to a boil and added it back to the mash for mash out. Wild version sits, patiently, hopefully becoming something that resembles the nectar that fed Odin’s Raven.